But diamonds have been beloved for much longer than the first century, AD. These precious gems are believed to have first been discovered in India, some 3,000 years ago. In 327 BC, Alexander the Great, the King of the Ancient Greek state Macedon, brought the very first diamonds from India to Europe. The first reports of them being used as decorative accessories come from their use to adorn a Hungarian queen’s crown in 1074. Humanity’s love affair with diamonds has only grown, and continues to grow, since their discovery. But what is it about the diamond that makes it so mesmerizing? While there isn’t a definitive answer to this question, one can only assume that diamonds are so captivating and sought after because of their bedazzling appearance. Just look at them! They sparkle so brightly and reflect light in its full spectrum, creating vivid colors that are quite enchanting. They are the hardest material on earth and can be exposed to the harshest elements, yet still retain their grand appearance. Not only are they absolutely stunning, but many people associate them with magic. They have been used to “cure” madness, to ward off evil spirits, and to prevent nightmares. 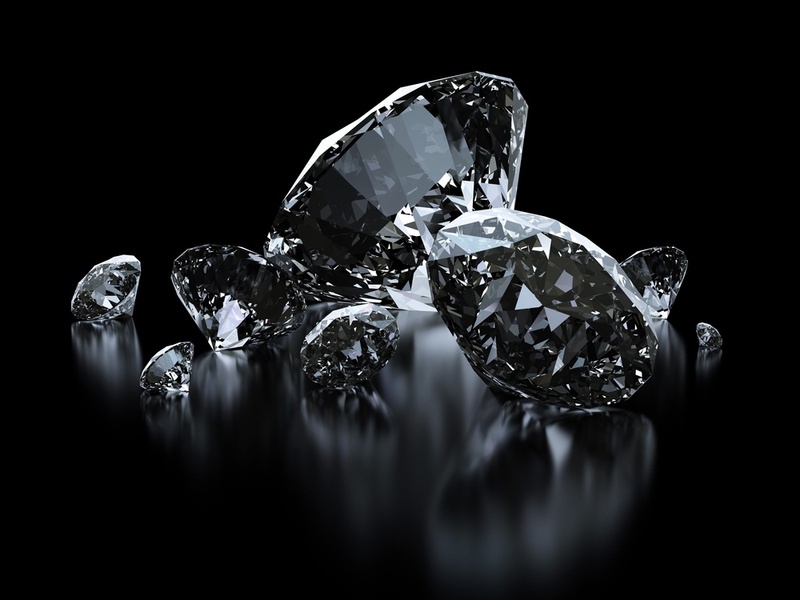 In fact, it is said that Plato, the Greek philosopher, believed that diamonds were living spirits. Diamonds are not only thought to have magical powers and to be one of the most beautiful objects in the natural world, but their strength and purity are also quintessential symbols for love. Diamonds are the most commonly used gemstone in wedding jewelry, including engagement rings and wedding bands.